Elisabeth Tova Bailey’s essays and short stories have been published in the Yale Journal for Humanities in Medicine, the Missouri Review, Northwest Review, and the Sycamore Review. 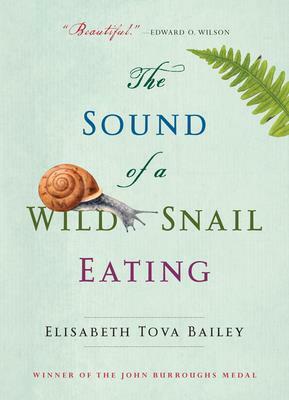 The hardcover edition of The Sound of Wild Snail Eating was a Barnes & Noble Discover title, an Indie Next Pick, and a Library Journal Best Book of the Year. Bailey has received several Pushcart Prize nominations (in addition to the awards listed above), and the essay on which this book is based received a Notable Essay Listing in Best American Essays. She is on the Writers Council for the National Writing Project. Winner of a National Endowment for the Arts Fellowship, she lives in Maine.